The BC Surgical Patient Registry tracks patients waiting for surgery in BC, and helps monitor and evaluate surgical wait times in the province. 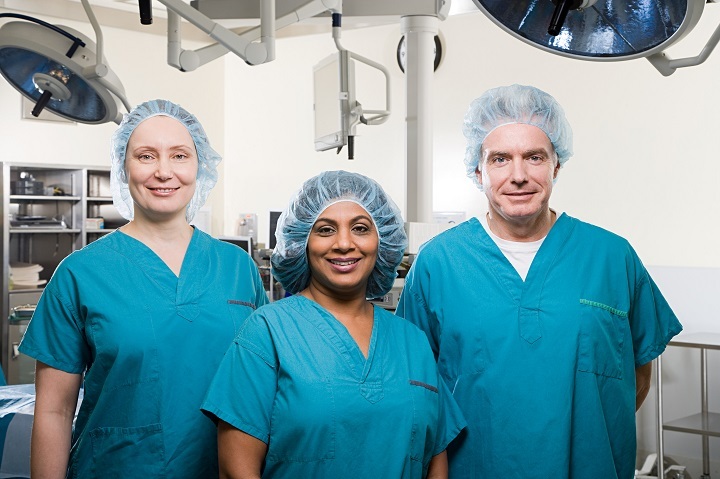 The BC Surgical Patient Registry is a joint program of the regional health authorities, the Provincial Health Services Authority (PHSA) and Ministry of Health, and is managed by PHSA. Its mission is to collect and standardize quality provincial surgical data for use by the Ministry of Health, regional health authorities and health care professionals to enable informed decision-making and to improve clinical outcomes for patients. BC Surgical Patient Registry (SPR) data allows surgeons to objectively prioritize patients for surgery, and helps surgeons and health authorities manage patient flow and allocate resources. The BC Surgical Patient Registry collects information on patients waiting for surgery identified by surgeon, by procedure, by hospital and by health authority. Wait time data is also collected for performed surgical cases. The registry utilizes a standard provincial procedure list and standard diagnosis-based prioritization list making it possible to accurately report wait times for the same procedure across all BC hospitals and health authorities. Health authorities submit patient-specific booking and post-operative information from their operating room booking systems directly to the web-based registry on a daily basis. The BC Surgical Patient Registry also collects data on hip and knee replacements in a separate prosthesis library. CJRR serves as the country’s leading source of information on hip and knee replacement surgery. The Canadian Institute for Health Information (CIHI) uses CJRR and other data sources to understand aspects of joint replacement such as hospitalizations, patient demographics, clinical issues, wait times and outcomes. In 2011, the Ministry of Health mandated reporting for both hip and knee joint replacements. In October 2012 the SPR office together with the health authorities implemented mandatory collection of CJRR data in the SPR. In 2016, BC was at 93% compliance. Prosthesis information is collected in SPR through nightly batch upload process with the surgery data (Northern Health uses web interface for prostheses submission). Provincial data is submitted quarterly to CJRR by SPR. Surgeons are able to access easy-to-read reports on their own patients’ priority/wait time targets through the SPR. This data is intended to be a useful guide to aid surgeons in determining the urgency of the surgery and the patient’s priority relative to other patients on their wait list. Surgeons continue to make final decisions about their patients’ surgery and priority for booking. Prioritize surgical patients using a standard list that is utilized by their peers. Have the ability to query current and accurate waitlist data from the BC Surgical Patient Registry for any of their patients. Have access to real-time waitlists. Can see comparative (patient non-identifiable data) reports for patients waiting or for surgeries completed across their health authority and the province. Have more accurate and timely data to manage surgical access and resources. Have province-wide standard definitions for patient procedures which allow health authorities to compare surgical access and resource utilization. Have access to aggregated, accurate, comprehensive and timely data to assist in monitoring performance, forecasting need, and reporting on wait time data. Has access to provincial, standardized, aggregated, accurate, comprehensive and timely data to assist in monitoring performance, forecasting need, and reporting on wait time data. The Surgical Patient Registry governance group is chaired by the Ministry of Health. This committee identifies provincial issues relating to the registry and develops province-wide standardized solutions; identifies opportunities for future improvements in the operation of the registry; and escalates registry strategic management items to the appropriate body such as Executive Standing Committees, Integrated Primary, Acute and Community Care Committee (IPACCC), Provincial Surgical Executive Committee (PSEC). The provincial data quality group is chaired by the BC Surgical Patient Registry central office. This committee provides guidance and direction regarding data quality issues for the registry. Members include representatives from the registry central office, health authorities and the Ministry of Health. How is SPR data used? SPR data provides decision-making information for surgeons, health authorities and the Ministry of Health. The SPR data is intended to inform and support surgeon decision-making by providing the surgeon with prioritization information to be used as part of the process for determining the urgency of the patient’s surgery. SPR data shows comparisons of surgical services across jurisdictions. The data can be used by health authorities and the Ministry of Health for better planning, monitoring and evaluating the use of surgical resources at the regional and provincial level. Reports are generated daily so staff can monitor the details, and correct any errors. This daily upload of data and ongoing error management process ensures that the information in the SPR is as current and accurate as possible. In addition, the SPR identifies situations where a patient has scheduled the same surgery with more than one surgeon. SPR data is the source for the Ministry of Health public wait time website. How is surgical data reported from the SPR? The SPR’s Data Mart portal enables standardized reporting for surgeons, health authority administrators and the Ministry of Health. Reporting tools and reports are continuously being improved based on client feedback and changing needs. The SPR has a reporting portal, the SPR Data Mart, open to surgeons, health authority administrator and the Ministry of Health accessible through the health authority systems at https://spr.healthbc.org/SPR or directly via the Data Mart link https://bi.phsa.ca/SPRDataMart. The SPR also creates a snapshot of all data in the SPR for six years from and including the end of the most current month, and transfers this data to the Ministry of Health through secure linkage on a monthly basis. This data is then used to populate the Ministry of Health public wait time website. SPR data also passes down to other systems including Fraser Health’s Soonest Surgery tool. Is special equipment or software required to use the SPR? No. The SPR is web-based and can be accessed from any secure surgeons office (using Citrix or VPN etc. ), health authority or Ministry of Health computer once a user has been approved and granted access. What training is required to use the registry? Each health authority has a designated SPR administrator responsible for coordinating the delivery of training to operating room booking staff, surgeons and surgeons’ office staff. The SPR central office also provides training for reporting. Find more information about education and training in the Resources & education tab. How many hospitals submit data to the SPR? Currently all hospitals that perform surgery in BC submit data to the SPR. What is the SPR doing in terms of standardizing SPR procedure codes? In 2015, the SPR re-classified unique health authority surgical procedure codes using the nationally standardized system, the Canadian Classification of Interventions (CCI). Each of the 14,000 procedure codes in BC now has a CCI code match where the procedure codes are now comparable across health authorities. These codes allow similar procedures from each health authority to be grouped together (for example, all appendectomies) and compared across the province. SPR codes are reported to the Ministry of Health, which then rolls these procedures up into the Ministry of Health groupings. What is the diagnosis-based prioritization system? In 2010, the Ministry of Health led a collaborative process to develop a diagnosis-based prioritization methodology replacing assessment tool data collection for patient prioritization. Diagnosis-based prioritization links a patient’s diagnosis and individual clinical condition to a specific wait time target. Initially based on a model developed by Vancouver Coastal Health, over 120 surgeons from across BC participated in creating the diagnosis-based prioritization tool. BC surgeons and their offices have access to the diagnosis/condition codes through their health authority. Surgeons select the code that corresponds with the appropriate diagnosis/patient condition, and write it on the OR booking form. The diagnosis information is uploaded to the SPR. The end-product is a comprehensive listing of the diagnosis descriptions/patient conditions and their associated priority levels. Surgeons will continue to make the final decision regarding who receives surgery and when it will be performed. SPR is the source of truth for these codes. A process for identifying new codes or updating codes is in place involving approval of the changes by clinical subject matter experts from all health authorities. The reporting portal is located under Reports>Advance Reporting and Analysis>SPR Data Mart. If you are a surgeon performing surgery in BC, you can access the SPR, including your individual data and summary provincial wait time data, through the SPR Data Mart. 2. Submit the completed form to your health authority's SPR administrator. Health authority SPR administrators only grant access to the SPR for those surgeons currently performing surgery in their region. 3. Once your access is granted, you will be emailed your username and password. The first time you log-on to the SPR, you will be required to read and agree to the PHSA BC Surgical Patient Registry provider information sharing agreement. Surgeons: if you would like your office staff to be able to access your SPR data, you must have SPR access and have signed off on the PHSA surgeon information sharing agreement before they will be able to access you data. 2. Submit the completed form to your region’s health authority SPR administrator (see surgeon access tab for administrator contact information). If you are a BC health authority or Ministry of Health administrator wanting access to summary provincial wait time data through the SPR Data Mart, you will need permission from the SPR administrator for your region or the SPR central office. 2. Submit the completed form to your health authority’s SPR administrator (see surgeon access tab for administrator contact information). If you need additional information or have questions, please contact your health authority SPR administrator or the SPR central office. Each health authority has a designated SPR administrator responsible for coordinating the delivery of training to operating room booking staff, surgeons and surgeons’ office staff. The SPR central office also provides training for reporting. Contact your health authority SPR administrator or sproffice@ tỷ lệ kèo trực tuyến www.eagleslocker.com for more information.